Our Irish Store, Erin Gift Store has been trading in Sneem, Co.Kerry, Ireland since 1995 on the famous Ring of Kerry. It is the Irish Retail outlet for Erin Knitwear (MNF) Ltd.,Co.Cork, Ireland which was established in1965.The company was originally setup knitting Irish Traditional Aran Hand Knitted Sweaters and Irish Accessories in 100% Irish Wool. While still using Traditional Aran Stitches the range of accessories it produces today are very chic with a contemporary twist, practical, cosy with their fleece lining and funky. Our Aran Accessories will stand out because of their unique design and will give you years of warmth and pleasure due to the polyester fleece lining. 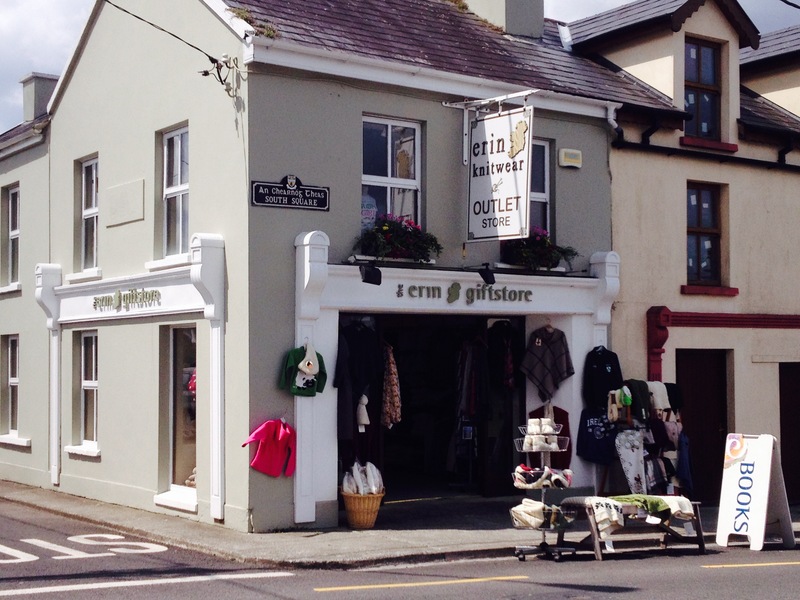 The Erin Gift Store, Sneem, Co.Kerry also stocks the very best of Irish Knitwear, Jewellery and quality Souvenirs. Please enjoy browsing through our range of accessories and see for yourself why the Erin Brand is recognised as a market leader both in Ireland and Internationally. Our Brand Label can be found in the finest Irish Craft and Woollen Stores in Ireland and in Stores throughout mainland Europe and the United States. We look forward to any purchases you may consider both now and in the future.